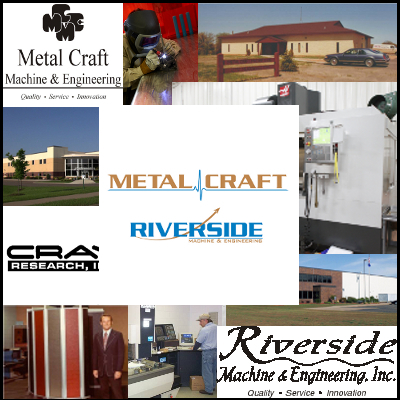 In the past 35 years, Metal Craft and Riverside Machine and Engineering have seen major growth and innovation while delivering the highest quality and services to our customers. As we celebrate this major milestone within our company, we can’t help but want to share a little about our journey and how we got to where we are. Metal Craft and Riverside Machine & Engineering trace our roots back to farms in rural Minnesota and South Dakota, where founder Jack Mowry spent his childhood. As years passed, he eventually left crops behind and moved toward machining by taking a six-month course at Dunwoody College of Technology. Jack worked his way up to night foreman, but grew tired of the nights. After another stint in school (earning his degree in mechanical drafting), he attempted a new career. Realizing that he could earn more money as a machinist than a drafter, he returned to machining and being a night foreman. One day, an opportunity presented itself for Jack to start his own business. Feeling like he could do the work better he started Metal Craft in 1978 in the basement of a small strip mall in Elk River, MN. At the beginning, the main focus was on computers, electronics, and the food and drug industries. After a decade of steady growth, Jack became interested in looking for another way to boost business. While doing research, he discovered expected growth in the medical-device industry and decided to start creating close-tolerance parts for surgical instruments, which is a majority of Metal Craft’s business today. As the need for more employees and space grew, the Mowry’s looked to expand out into other areas of manufacturing. A small machine shop originally owned by Cray Research, Inc. for manufacturing cold plates for super computers was for sale. In August 1996, The Mowry’s purchased the facility from then Silicon Graphics and Riverside Machine and Engineering was born. This acquisition allowed Metal Craft to expand its capacity and hire more employees. Today the company services the medical, aviation, space and defense, and electronic industries and specializes in aluminum vacuum furnace brazing. Currently, the two companies have more 180 employees combined. Metal Craft moved into a new 83,000 square foot facility in 2009 and Riverside is working on a plan to expand their 40,000 foot facility over the next couple of years. Jack has moved into an advisory role within the company but the business he built is still in the family—his son, Sean, and his daughter, Trisha, lead Metal Craft to its continued success. This entry was posted in News and tagged anniversary, business, manufacturing, metal craft, minnesota. Bookmark the permalink.